A bike tune up reassembles your bike to bring it to better than original running condition. Seasonal bike tune ups improve the durability, safety and performance of your bike. At The Outside Store, our team has decades of tuning experience. Call to book your appointment today.  The Outside Store is proud to be offering Bikefit. Bikefit is at the forefront of bicycle fit and ergonomics, designed to help cyclists achieve a better ride through increased comfort, power, output and efficiency. Our team is certified in the Master BodyGeometry Fit course and we are the only outfit offering this service in Northern Ontario. The Bikefit process includes an advanced assessment of the anatomy of the rider, and then adjustments to all moving components of the bike to fit the unique ergonomics of the rider. At The Outside Store, we can greatly extend the life and performance of your equipment with professional repairs. We have the know-how and proper tools to keep your gear working in tip top shape, long after the bumps and bruises that will inevitably happen while you’re out there enjoying the outdoors. We provide base welding, base patching, p-tex delamination and more. Call us or drop in today for more information. Improve the quality and consistency of your glide with Pro Nordic Ski Waxing at The Outside Store. Trust our team in ensuring you are prepped with the right wax for the conditions to improve your ski experience, with no damage to your skis. We use Swix and Toko waxes, and can service all types of skis. Properly maintained alpine skis and snowboards will perform better throughout their life. We offer a basic service, which includes a base grind, side file and waxing. We also offer hand tune ups for racers. This race prep includes hand sharpening of edges with a minimum 3 layers of wax to finish. We service all makes and models. Lets face it, skiing is a much more enjoyable experience when the skis work. That’s why we offer a free public Wax Clinic at our shop every Saturday, as long as the ski trails are being groomed. This clinic is a demo (no need to bring your skis) and goes over the proper application of glide wax, grip wax and klister. From beginner to expert, everyone can benefit from this clinic, so join us for the clinic and some donuts. See you Saturday!